Ian Stone is one of the most talented topical acts in the country. Edgy and provocative, with an easy-going manner and self-deprecating style, Ian is also a member of the Comedy Store's critically acclaimed 'Cutting Edge' team - a weekly residency of topical stand-up. 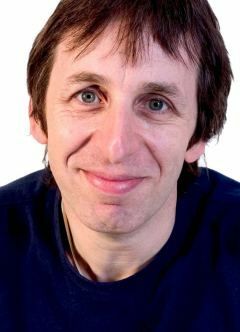 Ian Stone has performed all over the world and is a regular guest on Radio 5 Live's flagship sports panel show Fighting Talk. He also presented Channel 5's Comedy Bigmouth in 2017. Click here to book online for this show.